New! Prospecting Web 3.0 Cold Calling Is Dead! Over the past 18 months over 6,000 companies have tuned in to view our Prospecting Web 3.0 Cold Calling Is Dead webcast, and for good reason. In this webcast we show you how to integrate today's most effective Web 3.0 and Social media tools to effectively prospect for new sales without cold calling. See the latest e-Prospecting tools, tips and Best Practices in Sales Intelligence, RSS Feeds, Webcasts, Social Media, Real Time e-Mail Reporting and Tracking software that sits right on your desktop and electronically identifies prospects that have an interesting in your offering. This is one webcast that will provide you with the tools you need to immediately increase sales. Title: New! 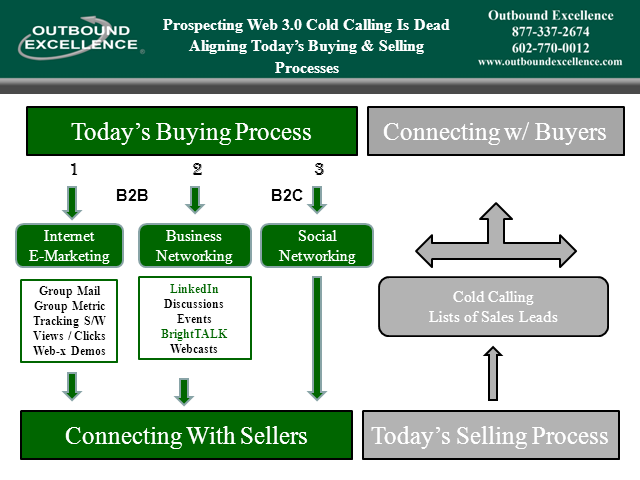 Prospecting Web 3.0 Cold Calling Is Dead!